Chef Akira Hirose will bring his signature touch to a new restaurant on First Street. 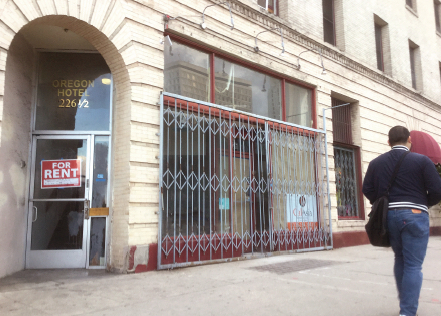 After more than 20 years, the house is coming home to Little Tokyo. Maison Akira, the premier Japanese-French restaurant in Pasadena, is relocating to the warm embraces of the community in which owner and chef Akira Hirose is so intimately involved. 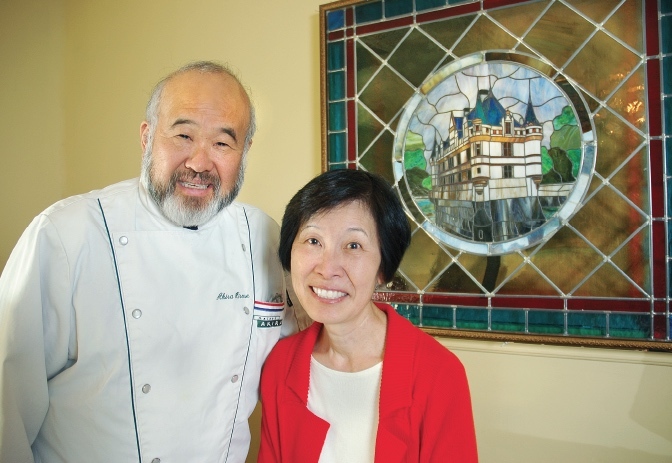 Hirose and wife Jo Ann will move the restaurant to the building on First Street in Little Tokyo that was purchased by her family in 1946. Plans are for new place to be on the south side of the street, just east of Los Angeles Street, in the space formerly occupied by a Red Wings shoe store. The new restaurant – to be named Azay, after a French castle near where Hirose studied – will differ from Maison Akira in fundamental ways. The Little Tokyo location will seat only 25 or so patrons, and the concept of its fare will move away from the fusion of French and Japanese cuisine, opting for more separated authenticity in each cuisine. Hirose’s new restaurant will occupy the First Street storefront that was previously a Red Wing Shoes store. It is slated to open in late March. Maison Akira will wrap up its operation in Pasadena on Monday, with the Little Tokyo restaurant planned for a late March debut. Jo Ann Hirose said for years, she and Akira have wanted to be closer to the Japanese American community in Little Tokyo. She works as a dental hygienist, near the new restaurant site. The couple are familiar faces in the neighborhood, attending countless community happenings, catering events and contributing to local causes. Their daughter, Michelle, is a former member of the Nisei Week royal court. Born in Kyoto, Akira has a wealth of stories of his travels and experiences to share, all spun with a humble smile familiar to many in the JA community. His dishes have been served at children’s events and senior lunches, holiday functions and fetes, and even to the emperor of Japan.